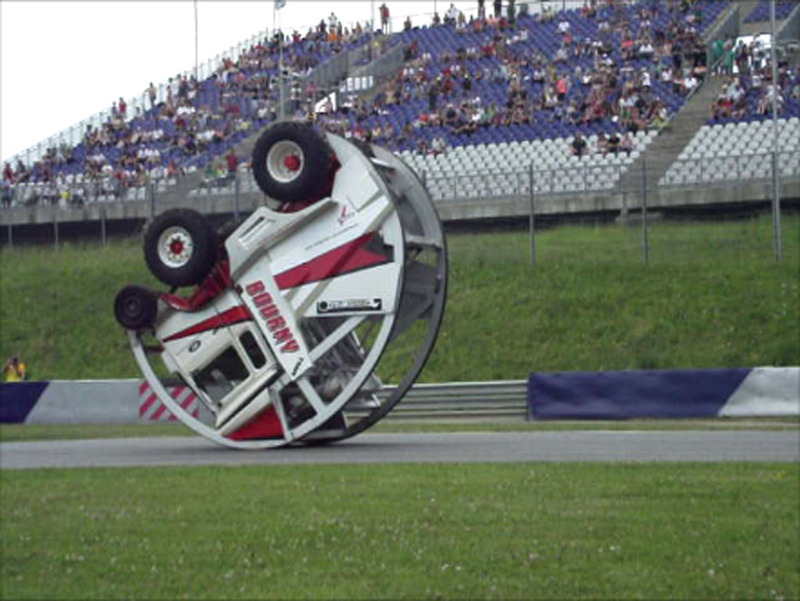 THE FIRST OF ITS KIND IN THE WORLD : A TRUCK DOING A FRONT FLIP ! With the help of SBE engineering office, two years of preparation, trials, breakages and repairs were needed for Team Bourny to generate this unique in the world machine. They also had to build a second more reliable machine after the prototype went through all the trials. Surfacing : preferably on tar, or else consolidated pit run. Also possible on grass if the flip zone is outfitted. Minimum track : length 80 m x width 4 m.